Book Wendy Chamberlain and make your next event totally engaging! 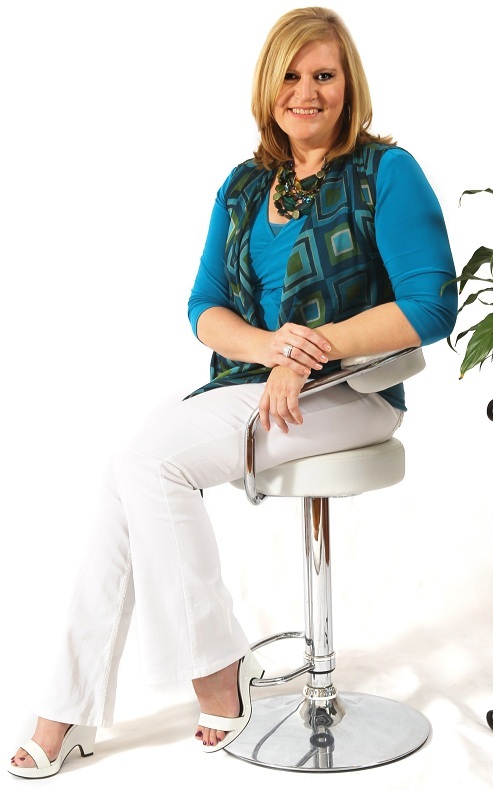 Wendy Chamberlain is a dynamic sought-after speaker, trainer, international best-selling author and Fully Licensed Real Estate Agent who shares her message with passion and enthusiasm. She is inspiring, motivating and uplifting. She will empower you and your seminar participants to take action. Wendy is available for speaking engagements for industry associations, corporations, events, public seminars, key notes and industry specific trainings tailored to your needs. For more details on booking Wendy to speak at your next event, Contact Us here. For Wendy’s speaking topics Go here. For Wendy’s Promotional Web Scripts for you to utilise Go here. For Wendy’s Photos Go here. For Wendy’s Speaking Specifications Go here. As a professional speaker Wendy has delivered presentations for Mary Kay Cosmetics, Women’s Network Australia, Emily’s List and the Liberal Womens Council. Wendy will reveal to you step-by-step strategies for tapping into the power of real estate to give you the confidence to take your next step on the property ladder. Wendy will tailor her presentation to your industry ensuring that the strategies she shares are right on target for your company and audience. Media exposure includes ABC Radio, The Australian, the Age, Wealth Creator Magazine and Sky Business News TV. Simple no cost strategies that can lead to TV, radio, newspaper & online exposure – they’ve worked for me, why not you? How to avoid overpaying – how would you know? Wendy has created great success in real estate through her expertise and extensive knowledge and loves to share exactly how she does it. If you are interested in interviewing Wendy or would like to discuss the possibility of her presenting to your group or company just Contact Us. Whether is it buying a car or just getting your child to clean up their room, we all negotiate. But your level of success and level of satisfaction with the negotiation outcome will come down to one simple thing – how effective are you as a negotiator? From problem solving to knowing when to compromise to get the deal done, negotiating is a fine art that will yield success when you know the best strategy to apply from your negotiating toolkit. When it comes to negotiating, it is not a case of “one size fits all”. How you approach a negotiation is a skill in itself, which involves understanding who you will be negotiating with and planning the best way to achieve the outcome you are looking for. Join Wendy Chamberlain as she steps you through the basics you need to know. What’s more, she explains it all in PLAIN, SIMPLE ENGLISH so you can finally connect all the dots. Wendy will be demonstrating, step by step, how to be an effective negotiator and create win-win outcomes for all involved. Have you noticed how we do business with those we know, like and trust? Any time you need a widget maker, you’ve probably asked a friend or a colleague for a recommendation. Then you head online to check that person out, right? So what better way to gain credibility and be seen as the expert in your business niche, than to be called on to comment on just that, your field of expertise. Getting media exposure can prove to be a huge boost for your business. But with so many others also doing what you do, why would a journalist choose to speak to you, and not them? Wendy Chamberlain will explode the myths around gaining media exposure and show you how you can easily gain media exposure for your business. Even more importantly, she’ll show you how to easily create a dedicated following so that journalists contact you directly, BEFORE they even think of putting a call out for input to their latest story to the general public. Wendy will be showing you, step by actual step, how easy it is to attract media exposure, be seen as the “go to” expert in your business niche and why you need to be doing this RIGHT NOW in your business. It’s one of the biggest decisions you’ll make and a source of great stress for many people. When it comes to selling, many people experience a range of emotions and questions: is now the right time to sell my home and how do I make sure that I get the very best price possible? There is an art to wrangling the many moving parts that must be co-ordinated when it comes to selling a property. From selecting the right people for your team to knowing where to spend money to achieve a fabulous return on auction day, selling your home requires finesse and expertise to get the equation right. Wendy Chamberlain will explode common misconceptions and mistakes real estate rookies make when selling. She will show you how to easily take control of the selling process, reduce your stress plus get your time back when selling a home. Wendy will be showing you, step by actual step, how easy it is to get the key fundamentals right when it comes to selling, to maximise your sales success. When it comes to buying your home or an investment property, many people experience a range of emotions and questions: is now the right time to buy a home, do I trust my knowledge of the process and how do I make sure that I am not paying too much or getting hoodwinked by the agent? There is an art to wrangling the many moving parts that must be considered when it comes to buying real estate. Be it knowing the market you are buying in to, doing the necessary due diligence or selecting the right people for your team, buying a home or investment property can be a minefield. Get it wrong, and it can turn out to be an expensive lesson. Wendy Chamberlain will explode common misconceptions and mistakes real estate rookies make when buying a home or investment property. She will show you how to easily take control of the buying process, negotiate like a pro, reduce your stress plus build your confidence levels when buying real estate. * how to avoid overpaying – how would you know? Wendy will be showing you, step by actual step, how easy it is to get the key fundamentals right when it comes to buying real estate, to maximise your success.